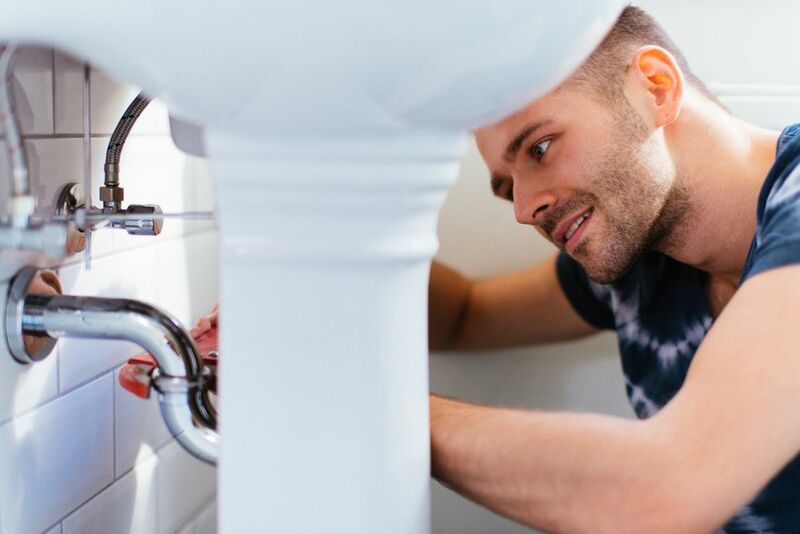 Flexible water supply tubes or pipes connect plumbing fixtures and appliances to your home's rigid supply piping. They typically connect to a fixture shutoff valve that allows you to turn off the water supply at the fixture location. In older installations, water supply tubing was often made of chromed copper that was bent with special tools and connected to fixtures with compression fittings. And while these supply tubes are still used—especially when appearance counts in exposed locations—both DIYers and plumbers now typically opt for convenient flexible supply tubes, many of which are available with the connection fittings already attached. NOTE: Flexible supply tubes should never be connected directly to a water supply pipe, but should connect to a fixture shutoff valve that is attached to the water supply pipe. Flexible supply tubes come in a few different sizes and lengths. Size refers to the diameter of the fitting at each end of the tubing. Connections for shutoff valves and fixtures typically are 1/4-, 3/8-, or 1/2-inch. Supply tubes may have the same or different sizes on the same tube as well as either male or female connections. Supply tubes also come in several different materials with different performance characteristics. Before buying, it’s always a good idea to have a look under the sink or behind the fixture to see what length of flex tube you will need and the size of the end fittings required. There are many size and length combinations available, so it can get confusing. Often, there is even a tag on the old flex tube that indicates the length and size of each end nut so you don’t have to measure or guess. 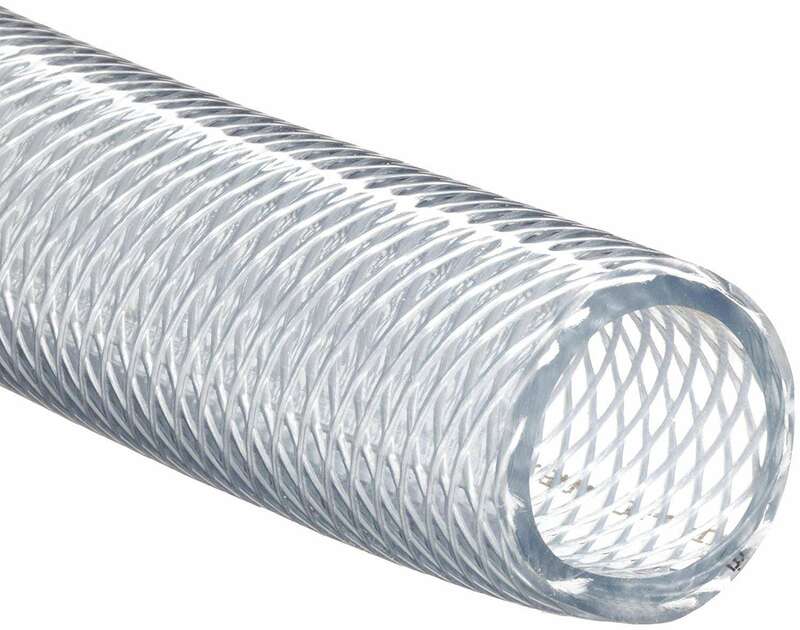 Flexible water supply tubes made from braided nylon come with a reinforced braided outer core and have a solid PVC inner core. They are usually white in color. This type of water supply tube is good for use with either hot or cold water supply lines. They can be used for most fixtures, including faucets, toilets, and more. Nylon flex tubes are very flexible, so they can be bought long and easily looped if necessary. They come in a variety of lengths, and the attachment nuts may even have winged levers that allow you to hand-tighten the nuts without the need for a wrench or pliers. Note: Hot water is hard on plastic supply lines, so it's a good idea to periodically inspect nylon tubing supplying hot-water faucets. These are more likely to fail than nylon cold-water supply tubes. Stainless steel flex tubes are made of braided stainless steel surrounding an inner tube of PVC or nylon. The finish is a shiny metal with a textured, fabric-like look. The stainless steel on the outside is great in exposed areas, not only for appearance but also because the stainless steel protects the tubing from the environment by resisting corrosion. This type of supply tube is flexible but not quite as flexible as braided nylon, PVC, or polymer-coated tubes. Stainless steel braided flex tubes are appropriate for both hot and cold water lines. Braided stainless steel is usually the most expensive option for flexible supply tubes, but is also the most attractive and most durable. Strong and durable, PVC flex tubes are made of a PVC (polyvinyl chloride) outer core that is usually braided with nylon, and an inner core made of solid PVC. They are very similar to braided nylon flex lines. This type of flex tube is often the least expensive option. But although they are cheap, they are very flexible, offering amazing strength and ease of use. Keep in mind that PVC flex lines are not as corrosion-resistant when used in an exposed area—sunlight can weaken the material. They are suitable for hot and cold water and are a great, inexpensive option for faucet and toilet connections alike. Polymer-coated flex tubes also have a PVC inner core, but the outer material is made of polymer-coated fibers. These tubes look a lot like stainless steel braided lines, and, like the stainless steel lines, they resist corrosion very effectively. Also like braided steel, they are a good option where a premium appearance is needed, such as the exposed locations under a toilet or pedestal sink. Unlike stainless steel tubing, however, polymer-coated tubes are very easy to bend and loop in situations where they are overly long, or when you need to make up for a big offset between connections. Another difference is that this type of flex tube is very competitively priced. Like all the other flex lines, these are hot and cold water compatible, so they can be used for many applications.